Saint Charbel Makhlouf, O.L.M. (or Sharbel Maklouf), (Arabic: مار شربل‎‎, May 8, 1828 – December 24, 1898) was a Maronite monk and priest from Lebanon. During his life he obtained a wide reputation for holiness and he has been canonized by the Catholic Church. Many Maronite Christians have prayer cloths blessed and then place them on the sick, praying to God through the intercession of Saint Charbel, for healing. Youssef Antoun Makhlouf was born on May 8, 1828, one of five children born to Antoun Zaarour Makhlouf and Brigitta Chidiac. They lived in the village of Bekaa Kafra, possibly the highest in the Lebanese mountains. His father, a mule driver, died in August 1831, returning from corvée for the Turkish army, leaving his wife a widow to care for their children. Later she remarried a man who went on to seek Holy Orders and became the parish priest of the village. The young Youssef was raised in a pious home and quickly became drawn to the lives of the saints and to the hermit life, as was practiced by two of his uncles. As a young boy, he was responsible for caring for the family’s small flock. He would take the flock to a grotto nearby, where he had installed an icon of the Blessed Virgin Mary. He would spend the day in prayer. In 1851, Youssef left his family and entered the Lebanese Maronite Order at the Monastery of Our Lady in Mayfouq to begin his training as a monk, later transferring to the Monastery of St. Maron in Annaya, located in the Jbeil District near Beirut. Here he received the religious habit of a monk and took the name Charbel, after a Christian martyr in Antioch from the 2nd century. He made his final religious profession in the Order on November 1, 1853. The young monk Charbel then began his study of philosophy and theology at the Monastery of Saints Cyprian & Justina in Kfifan, in the Batroun District of Lebanon, to prepare himself for receiving Holy Orders. Among his professors at the seminary was Father Nimatullah Kassab, who was himself later also declared a saint. He was ordained six years later, on July 23, 1859, in Bkerke. He was then sent back to St. Maron Monastery, where he lived a life of severe asceticism in the monastery. In 1875, Charbel was granted by the abbot of the monastery the privilege of living as a hermit at the Hermitage of Saints Peter and Paul, a chapel under the care of the monastery. He spent the next 23 years living as a solitary hermit, until his death from a stroke on December 24, 1898. Charbel was interred at St. Maron’s Monastery on Christmas Day of that year. It was reported that, during the transport of his corpse, the inclement weather conditions hindered the pallbearers in carrying out their duty. A few months after his death, a bright light was seen surrounding his tomb and the superiors opened it to find his body still intact. Since that day, a blood-like liquid flows from his body. Experts and doctors are unable to give medical explanations for the incorruptibility and flexibility. In the years 1950 and 1952, his tomb was opened and his body still had the appearance of a living one. The official site mentions: In this century his grave has been opened four times, the last time being in 1955, and each time “it has been noticed that his bleeding body still has its flexibility as if it were alive”; no mentioning of later openings. The Catholic Tradition website says: Father Joseph Mahfouz, the postulator of the cause, certified that in 1965 the body of Saint Charbel was still preserved intact with no alteration. In 1976 he again witnessed the opening of the grave; this time the body was completely decomposed. Only the skeleton remained. A psalm of Asaph. The LORD, the God of gods, has spoken and summoned the earth from the rising of the sun to its setting. “Listen, my people, I will speak; Israel, I will testify against you; God, your God, am I. But to the wicked God says: “Why do you recite my commandments and profess my covenant with your lips? “Understand this, you who forget God, lest I attack you with no one to rescue. Henry II (German: Heinrich II; Italian: Enrico II) (6 May 973 – 13 July 1024), also known as Saint Henry, Obl. S. B., was Holy Roman Emperor (“Romanorum Imperator”) from 1014 until his death in 1024 and the last member of the Ottonian dynasty of Emperors as he had no children. The Duke of Bavaria from 995, Henry became King of Germany (“Rex Romanorum”) following the sudden death of his second cousin, Emperor Otto III in 1002, was crowned King of Italy (“Rex Italiae”) in 1004, and was crowned by the Pope as Emperor in 1014. The son of Henry II, Duke of Bavaria and his wife Gisela of Burgundy, Emperor Henry II was a great-grandson of German King Henry I and a member of the Bavarian branch of the Ottonian dynasty. Since his father had rebelled against two previous emperors, the younger Henry was often in exile. This led him to turn to the Church at an early age, first finding refuge with the Bishop of Freising and later being educated at the cathedral school of Hildesheim. He succeeded his father as Duke of Bavaria in 995 as “Henry IV”. As Duke, he attempted to join his second-cousin, Holy Roman Emperor Otto III, in suppressing a revolt against imperial rule in Italy in 1002. Before Henry II could arrive, however, Otto III died of fever, leaving no heir. After defeating several other claimants to the throne, Henry II was crowned as King of Germany (“Rex Romanorum”) on July 9, 1002 and as King of Italy (“Rex Italiae”) on 15 May 1004. Henry II in 1004 aided Jaromír, Duke of Bohemia against the Poles, definitively incorporating the Duchy of Bohemia into the Holy Roman Empire. Unlike his predecessor, who had focused upon imperial attention in Italy, Henry spent most of his reign concerned with imperial territory north of the Alps. His main focus was on a series of wars against the Polish Duke Bolesław I, who had already conquered a number of countries surrounding him. Henry did, however, lead three expeditions into Italy to ensure imperial dominion over the peninsula: twice to suppress secessionist revolts and once to challenge the Byzantine Empire for dominance over southern Italy. On 14 February 1014, Pope Benedict VIII crowned Henry as Holy Roman Emperor (“Romanorum Imperator”) in Rome. The rule of Henry II is seen as a period of centralized authority throughout the Empire. He consolidated his power by cultivating personal and political ties with the Catholic Church. He greatly expanded the Ottonian dynasty’s custom of employing clergy as counter-weights against secular nobles. Through donations to the Church and the establishment of new dioceses, Henry strengthened imperial rule across the Empire and increased control over ecclesiastical affairs. He stressed service to the Church and promoted monastic reform. For his personal holiness and efforts to support the Church, Pope Bl. Eugene III canonized him in 1146, making Henry II the only German monarch to be a saint. Henry II married Cunigunde of Luxembourg, who later became his queen and empress. As the union produced no children, after Henry’s death the German nobles elected Conrad II, a great-great-grandson of Emperor Otto I, to succeed him. Conrad was the first of the Salian dynasty of Emperors. 765 The Lord Jesus endowed his community with a structure that will remain until the Kingdom is fully achieved. Before all else there is the choice of the Twelve with Peter as their head.Representing the twelve tribes of Israel, they are the foundation stones of the new Jerusalem. The Twelve and the other disciples share in Christ’s mission and his power, but also in his lot. By all his actions, Christ prepares and builds his Church. Luke the Evangelist (Latin: Lūcās, Ancient Greek: Λουκᾶς, Loukãs, Hebrew: לוקאס‎‎, Lūqās, Aramaic: לוקא‏‎‎‎, Lūqā’‎) is one of the Four Evangelists—the four traditionally ascribed authors of the canonical Gospels. The early church fathers ascribed to him authorship of both the Gospel according to Luke and the book of Acts of the Apostles, which would mean Luke contributed over a quarter of the text of the New Testament, more than any other author. Prominent figures in early Christianity such as Jerome and Eusebius later reaffirmed his authorship, although the fragile evidence of the identity of the author of the works has led to discussion in scholarly circles, both secular and religious. The New Testament mentions Luke briefly a few times, and the Pauline epistle to the Colossians refers to him as a doctor (from Latin for teacher); thus he is thought to have been both a physician and a disciple of Paul. Christians since the faith’s early years have regarded him as a saint. He is believed to have been a martyr, reportedly as having been hanged from an olive tree, though some believe otherwise. Many scholars believe that Luke was a Greek physician who lived in the Greek city of Antioch in Ancient Syria, though some other scholars and theologians think Luke was a Hellenic Jew. Bart Koet for instance considered it as widely accepted that the theology of Luke–Acts points to a gentile Christian writing for a gentile audience. Gregory Sterling though, claims that he was either a Hellenistic Jew or a god-fearer. Epiphanius states that Luke was one of the Seventy Apostles (Panarion 51.11), and John Chrysostom indicates at one point that the “brother” Paul mentions in the Second Epistle to the Corinthians 8:18 is either Luke or Barnabas. If one accepts that Luke was in fact the author of the Gospel bearing his name and also the Acts of the Apostles, certain details of his personal life can be reasonably assumed. While he does exclude himself from those who were eyewitnesses to Jesus’ ministry, he repeatedly uses the word “we” in describing the Pauline missions in Acts of the Apostles, indicating that he was personally there at those times. There is similar evidence that Luke resided in Troas, the province which included the ruins of ancient Troy, in that he writes in Acts in the third person about Paul and his travels until they get to Troas, where he switches to the first person plural. The “we” section of Acts continues until the group leaves Philippi, when his writing goes back to the third person. This change happens again when the group returns to Philippi. There are three “we sections” in Acts, all following this rule. Luke never stated, however, that he lived in Troas, and this is the only evidence that he did. My fellow prisoner Aristarchus sends you his greetings, as does Mark, the cousin of Barnabas. 11 Jesus, who is called Justus, also sends greetings. These are the only Jews among my co-workers for the kingdom of God, and they have proved a comfort to me. … 14 Our dear friend Luke, the doctor, and Demas send greetings. 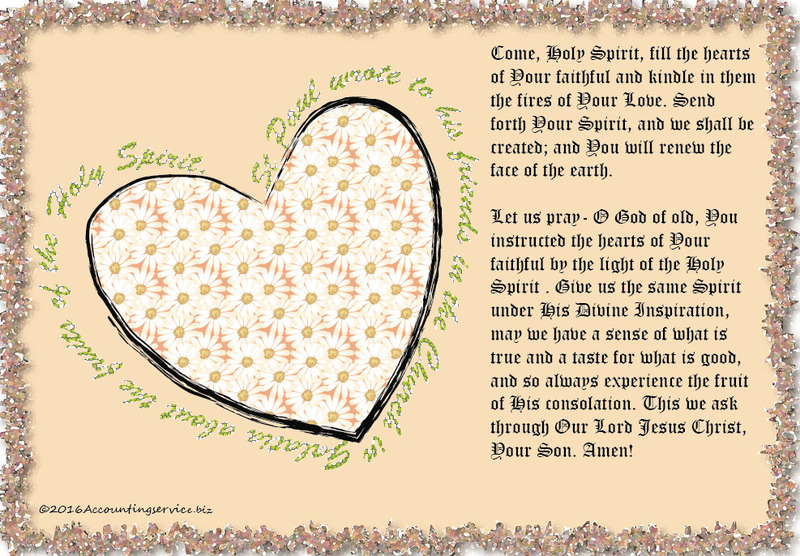 Colossians 4:10–11, 14. Luke’s presence in Rome with the Apostle Paul near the end of Paul’s life was attested by 2 Timothy 4:11: “Only Luke is with me”. In the last chapter of the Book of Acts, widely attributed to Luke, we find several accounts in the first person also affirming Luke’s presence in Rome including Acts 28:16: “And when we came to Rome…” According to some accounts, Luke also contributed to the authorship of the Epistle to the Hebrews. Luke died at age 84 in Boeotia, according to a “fairly early and widespread tradition”. According to Nikephoros Kallistos Xanthopoulos (Ecclesiastical History 14th century AD., Migne P.G. 145, 876) and others, Luke’s tomb was located in Thebes, whence his relics were transferred to Constantinople in the year 357.